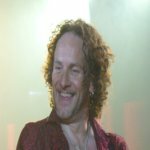 Def Leppard guitarist Vivian Campbell still has plans to write and record a guitar-based solo album. Vivian first mentioned in January that the album would be a "guitar driven hard rock record" and recording would start in late summer. He then updated fans about the album again in May. He was asked yesterday if he still planned to make the album and said that he was. For more news on new 'Def Leppard' music (based on band member quotes) dating back to January 2011. Visit the Album News section. Also you still planning to hit the studio for a solo album?. "Yes, a solo album is still in the plans. Lots of guitar!."